The South African Institute of International Affairs (SAIIA) and the Global Economic Governance (GEG) Africa project organized a conference on Africa’s priorities at the G20 tagged “G20 and Africa: Navigating African Priorities for the G20”. The conference brought together representatives of the T20 African Standing Group made up of leading African think tanks, African policy makers, researchers and thought leaders to discuss how Africa can contribute to key G20 priorities in a challenging global environment. The conference provided a platform for African stakeholders to discuss key G20 priorities emerging out of the Argentine G20 Presidency and incoming Japanese G20 Presidency thereby enabling a more active participation of Africa in key global political, economic and developmental processes. The conference featured sessions which discussed various issues including: the changing landscape of infrastructure finance, in particular the development of infrastructure as an asset class, combating illicit financial flows, specifically focusing on trade mispricing and discussions on the future of the world of work against the background of the digital transformation of the work place. The meeting also held a closed session where the policy briefings of the African think tank members were presented and discussed in preparation for the upcoming T20 ASG meeting in Addis Abba co-hosted by UNECA in mid-February 2019. 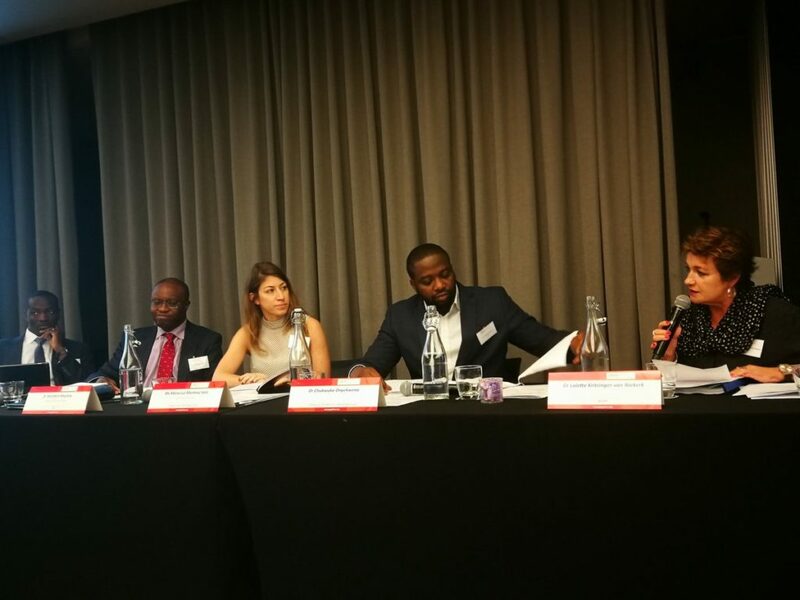 Dr. Chukwuka Onyekwena participated in a high-level panel discussion on mobilising resources for infrastructure development in Africa. The panel featured discussions including What African countries can do to promote economic diversification and expand revenue generation; how to reduce the effect of commodity price shocks on fiscal stability. The event was held on 29 January 2019 in Pretoria, South Africa.